The student is exposed to all facets of the industry with emphasis on problem solving and transferability of skills. Each student must successfully complete an internship with a Caterpillar dealer. Students can complete 2 associate's degree programs in 3 years by enrolling in the dual degree option. The Caterpillar program at Penn College has strong industry support from both the CAT dealers and the Caterpillar Foundation. Since 1994, CAT dealers have contributed more than $1.63 million in cash, tuition, scholarships, and in kind contributions to the college. The Caterpillar Foundation has contributed more than $875,000. 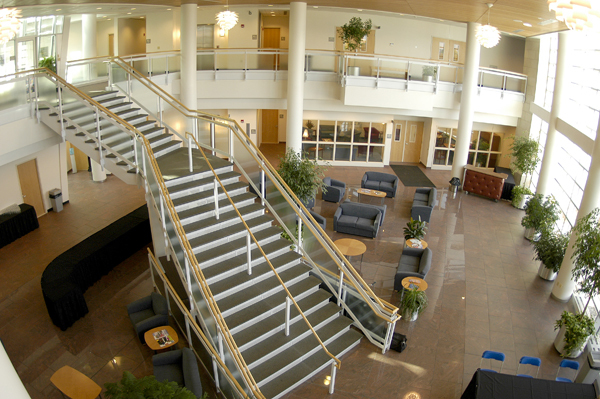 Penn College offers a unique Caterpillar-sponsored curriculum. With Caterpillar developing new products, resulting in global expansion and opportunity, it is an exciting time to begin this program of study at Penn College. The Heavy Construction Equipment Technology: Caterpillar Emphasis program is one of eight programs in the United States accredited by the Associated Equipment Distributors Foundation (AED). AED Accredited by The AED Foundation. Heavy construction equipment technician for a Caterpillar or other heavy construction equipment dealership, mine, quarry or natural gas industry; forestry equipment dealer; leasing company or contractor; field service/CAT sales representative for an equipment or engine distributor; service occupations such as service writer, warranty writer, parts manager, and assistant service manager. According to the Bureau of Labor Statistics, the median annual wage for mobile heavy equipment mechanics, except engines was $51,920 in May 2018. The top 10 percent earned more than $76,600. First you need to apply to Pennsylvania College of Technology and enroll in the Heavy Construction Equipment Technology program (CH) to reserve a seat in the major. Then you may contact a participating Caterpillar dealer to inquire about sponsorship opportunities. Foley Inc. 5102 Beekmantown Dr.
You are expected to purchase your own tools which can be purchased at the College Store or through a dealer such as Sears or Snap-on. The advantage to purchasing your own tools is that the tools are yours to use during your time as a student and later as an employee. Larger specialty tools such as those used in diagnostics and testing are purchased by the College or donated by the Caterpillar dealer program for use by all students enrolled in the program. Ms. Annie Fuller, Corporate Recruiter, H.O. Penn Machinery Company, Inc.
Mr. Karl Quinn, Training Manager, Alban Tractor Company, Inc.
Mr. Gary W Shields, Jr., Manager, On-Hwy Technical Support, Alban Tractor Company, Inc.